On nearly any weekend night you can climb a few steps into the cozy Circle A on Chambers, face right, and meet the star of this month’s Spotlight, Paul Setser. Then, he will probably ask you for some money. For close to fourteen years Paul has been booking the bands, doing the sound, manning the door and hosting the website for the Circle A Cafe. Sometimes he plays there, too, in one of the many bands he has worked with. Mention Paul Setser to a musician (I’d say Riverwest musician, but I think Milwaukee musician covers better) and the light of recognition will likely go on in her/his eye. Paul has probably played with them or booked them or recorded them. For many years he had a home recording studio. Also, from around 1998 to 2004 he managed and booked acts for Quarters. 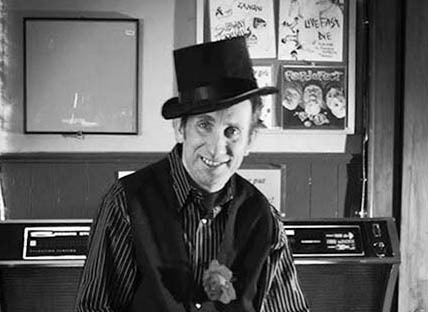 Some of the bands he played with include The Freddy Lee Band (played big stages at Summerfest), The Maroons, Los Quantum Mechanics, Blarney Castle, Riverwest Accordion Club, Danny Price and the Loose Change, MacTavish, Aimless Blades, Eat the Mystery, La Vita Viva, and the Lost Brew City Ramblers. “There are probably a dozen more projects I can’t recall right now,” says Paul. Currently, he plays solo gigs and with The Riverwest Aces. His virtuosity covers, but is not limited to, accordion, ukulele, piano, keyboard and guitar. “One of the coolest … one of the nicest things about being a musician is that once in a while you get the opportunity to play with (certain) people. I’ve been able to play with ‘1913,’ which is Victor de Lorenzo’s project. That’s a dream come true to play with Victor, in any capacity. They let me play accordion with them a few times at Circle A. And I was able to play with Sammy (Llanas) Bodean last summer. It’s just little things like that, that are especially meaningful. It’s like checks off from your bucket list when that happens,” effuses Paul. Then there’s also the songwriter aspect of him. These days he writes with an acoustic guitar, although his earliest songwriting was on keyboard, which he also used for twenty years of commercial work. Using his MIDI hookup, Paul wrote background music and soundtracks for the advertising world. He started out with five years of full time under a corporate roof and then went freelance. There was not much room for original music in that environment, although he “dabbled in originals” and wrote a few jingles. Most of it was taking canned tracks and “sweetening” them. Although Milwaukee was not a great place for audio work, he had some good clients, including the Department of City Development, where he added his hand to a huge multi-media project in the 1980’s called the Spirit of Milwaukee. Now you’re thinking, this guy must have studied music in college. No. Paul’s B.A. is in Business and his M.A. is in Mass Communications. And, although neither is an exact fit for the work he does, they both contributed greatly to the trajectory of his life, and what still really makes him tick. While working toward his undergrad degree at UW Whitewater, Setser became part of the campus radio station, holding the role of director for a couple years. This taught him about audio technology, which was a first step on the way to his many uses of those skills. But even more fun was the opportunity it gave him to get backstage with great musicians and “interview famous rock stars.” “I interviewed a bunch of famous people … Billy Joel, Chick Corea, Brewer and Shipley … when they were young.” Paul adds with a laugh, “They were still young,”. Another of the hats that Paul wears is that of a disc jockey, which began on the college radio. 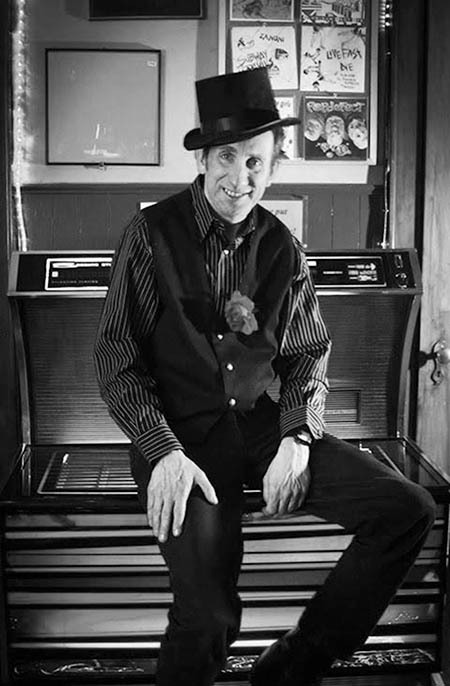 Years later he DJ’d on Riverwest’s first underground radio station, the Wireless Virus, sourcing from his own vinyl collection of over 1500 albums. He uses some of those same records for his every-fourth-Sunday jockeying gig at Circle A, or an occasional DJ spot at High Dive. Getting married? Paul is available. For DJing, that is. As is apparent, Paul is a man of many interests. But the one that few people know of is the real driver of his day to day existence. Ethnography. Paul’s Mass Communications degree was aimed toward this study of how people act in the real world, how they really make decisions, not divorced from reality as the biased results would be from having people fill out questionnaires or surveys. “I’ve done a lot of reading in that field,” says Paul, and it continues. “I can use the web with blogs to put it all together. There’s no one blog about what I’m interested in, but a bunch of different things give me perspective. I wake myself up by going into Fuel or Colectivo now and go into my favorite blogs and read.